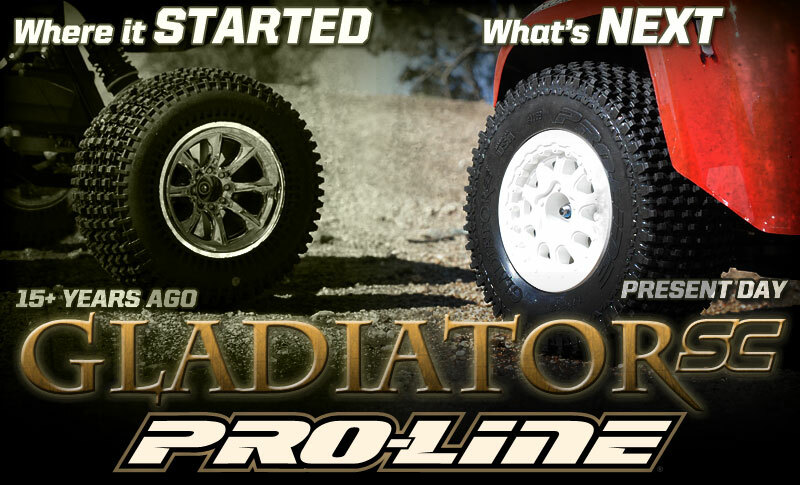 Here is a sneak peek at Pro-Line’s upcoming Gladiator SC tire. The original Gladiator was the first multi-leveled RC tire ever made and has given Pro-Line fans awesome traction for over a decade. This iconic tread pattern will soon be available for your Short Course Truck. YES! Gladiator 2.2s are awesome. Let’s just hope they offer the Gladiator SC in M3 and M4 compounds!